​Bournemouth head to south Wales to ​take on Cardiff City on Saturday evening as they look to close the gap on the top six. The Cherries have restored their promising early season form in their past two fixtures, going into the game off the back of impressive wins over West Ham and Chelsea and will aim to achieve three wins on the trot against Cardiff on Saturday. ​Cardiff however aren’t in their best form of the season and remain in the ​Premier League's bottom three. They have conceded eight goals in their past four games, only managing to score one goal. 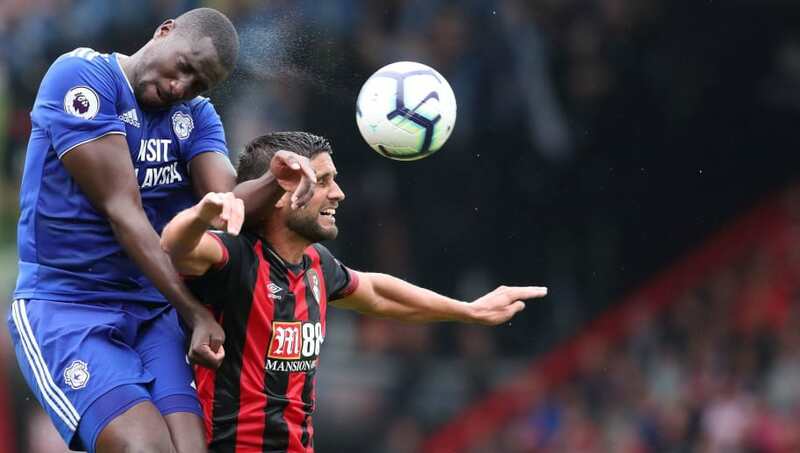 This may be a bad time to play ​Bournemouth following their demolition of Chelsea on Wednesday, but the Bluebirds need to start picking up points before they are cut adrift in the relegation zone. Check out 90min’s preview of the upcoming fixture below. ​There are no new updates for Cardiff ahead of Bournemouth’s visit. Club captain Sean Morrison will remain on the sidelines following his appendix surgery. ​Harry Arter is on loan from Saturday’s opponents and will be ineligible for the game. Bournemouth will be without long-term absentees Lewis Cook and Simon Francis, while Callum Wilson should return to the starting line up after he missed the 4-0 victory over Chelsea. ​Bournemouth ​Boruc; Clyne, Cook, Ake, Smith; Surman, Gosling, Stanislas, Fraser; King, Wilson. ​​Bournemouth have the edge over Cardiff historically, as out of the 44 fixtures between the sides the Cherries have won 19 with 11 games ending in a draw. The last time Cardiff beat Bournemouth in the league was back in 2002. The reverse fixture between both teams came on the opening day of the season. Bournemouth gave Cardiff a welcome to the ​Premier League by beating the recently promoted team 2-0 on their return to the top flight. Wilson and Ryan Fraser both got on the score sheet while Cardiff goalkeeper Neil Etheridge saved Wilson's penalty. Cardiff aren’t on the best run of form of late. They have only picked up four points from their past five league fixtures and have struggled to score during this time. The Bluebirds have only scored one goal in their five games since the start of the year and crashed out of the FA Cup to Gillingham. Last time out Cardiff fell to a ​2-1 defeat to Arsenal at the Emirates. Bournemouth could not be in any better form following their ​4-0 win over Chelsea on Wednesday. The Cherries inflicted Chelsea’s joint heaviest defeat of the Premier League era with goals from Charlie Daniels, David Brooks and a brace from Joshua King. They have picked up seven points from their past four league fixtures, however they exited the FA Cup early at the first hurdle, losing 3-1 to Brighton. Here is how both sides have performed in their past five fixtures. ​Neil Warnock's men need a victory badly before they are left hanging in the bottom three. The quicker they get results the easier their tough end-of-the-season run in will be. Bournemouth however can make it three wins in a row on Saturday and will have a massive confidence boost after thrashing Chelsea. Cardiff have the worst defensive record at home while Bournemouth have the second worst on the road. This record could mean plenty of goals at the Cardiff City Stadium on Saturday.